Maybe it's time to move on from Bloodborne...nah. Hey guys, whatcha playing? 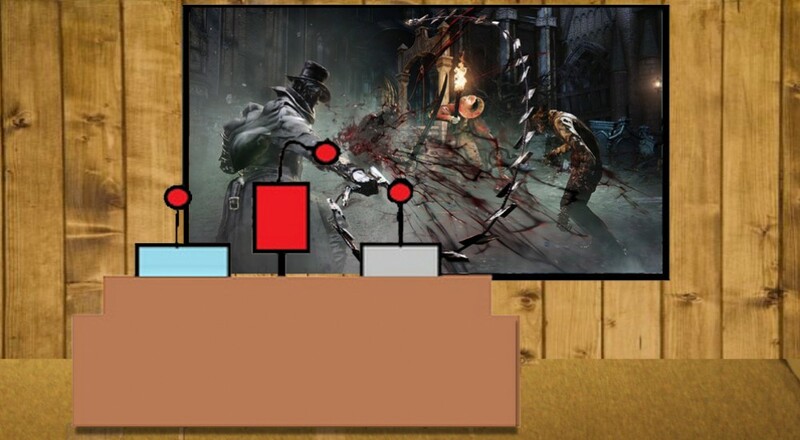 Bloodborne still has most of us enthralled here at Co-Optimus (we finished up a co-op focused review and an extensive co-op FAQ this week! ), while some of us are celebrating anniversaries and exploring our tabletop options. What say you, staff? Nick Puleo (@NickPuleo) - "I've got a strategy itch - maybe some Civilization or Age of Wonders 3." Danny Cowan (@db_cowan) - "I've got a whole bunch of PSone imports to catch up on. Probably going to dive into Crime Crackers (early corridor FPS) and Alive (bizarre FMV adventure) this weekend." Mike Katsufrakis (@Pheriannath) - "I'll probably run some Chalice Dungeons in Bloodborne, but most of my time will be spent with Xenoblade Chronicles 3D." Andrew Gaskill (@cubninja) - "I'll be playing Bloodborne." Marc Allie (@DjinniMan) - "Starcraft 2 and maybe the new patch in Diablo 3." Jason Love (@JLove55) - "It's kind of hard to believe that a year has already passed. I'll be celebrating a great first year of marriage with the missus and possibly hopping into some Bloodborne today to continue the adventures of Smiggleputz, ESQ." Eric Murphy (@smurph_em) - "I'll either dive back into Monaco, or roll my first character in Gauntlet (the remake). I might find some time for Sniper Elite 3 as well." Locke Vincent (@LockeVincent) - "A bunch of Bloodborne, Evolve, and Tower of Guns content to be made. Going to be furiously playing on the cutting room floor." Tally Callahan - "Tabletop day on Saturday, then probably more NG+ in Bloodborne." Sam Tyler (@thereelsamtyler) - "With Child of Light being free to download for Gold members, it would be rude not to play. Plus I will be trying to finish off those pesky fortresses in Far Cry 4 co-op." Chris Metz (@The_Lemko) - "Not really sure... Maybe some Crazy Taxi and Smash Bros 4." John Bardinelli (@itsamejohn) - "At the height of moving this weekend. All gaming implements are packed in boxes. So sad. Going through withdrawal." Enoch Starnes (@enochstarnes) - "FIFA 15 co-op is, and forever will be, on the menu. I'll probably fit in some Warframe, Super Mega Baseball, and Legend of Grimrock 2." Taylor Killian - "If I'm not filling every conceivable second of my life playing co-op Manager Mode in FIFA then I'm not living." Page created in 0.7716 seconds.